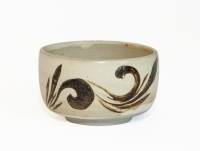 Antique Chinese Kangxi underglaze blue bowl with dragon design. 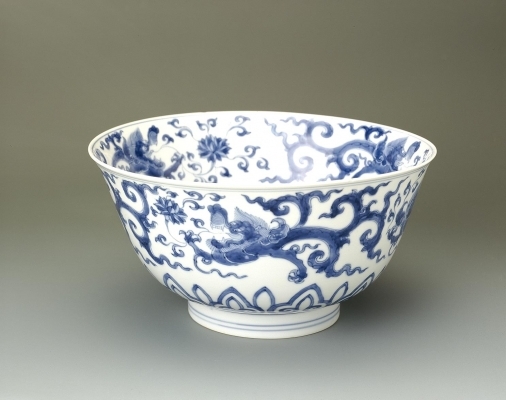 Chinese Kangxi blue and white porcelain at its best is superb and rivals any other Chinese blue and white produced during the earlier periods. It may not have the simple vigour of the Yongle blue and white, or the stateliness of the Chenghua but what it does have are charming sophisticated designs inspired by all that went before it together with a great technical expertise that could produce a brilliant under-glaze sapphire blue for the painting, a fine thin attractive white slightly bluish silky glaze applied to a very white body. Unfortunately, it is very easy to gain an unfavourable impression because it was a period when due to huge demand from Europe and the home market, even very poor products were commercially viable. There were a very large number of kilns at the main centre of production at Jingdezhen producing hundreds of thousands of pieces of blue and white porcelain.